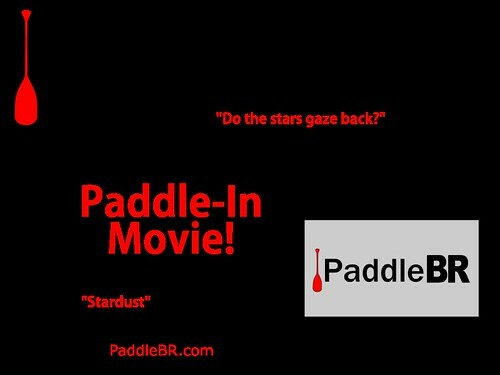 Once again, we’re having a Paddle-In Movie to say thanks to our PaddleBR members, whose support makes much of what we do possible. 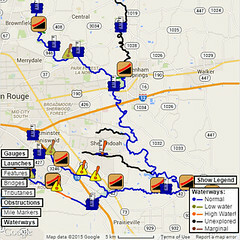 We encourage anyone who is not a PaddleBR member to consider supporting PaddleBR, but we welcome everyone, member or not, to come join us for another exciting Paddle-In Movie. We’d love to have you out there. There is no charge or admission fee, but we’re asking that you please register in advance. If you don’t have your own boat, we also have a selection of canoes and kayaks available (boat requests are in the Paddle-In Movie registration form). After you register, we’ll send a confirmation email with your complimentary “tickets” and complete details covering parking, launching, times, and so on. We’re looking forward to an amazing movie night out in the middle of University Lake. Is there a time set for the movie? The movie should start around civil twilight (6:45pm or so — do we count trailers? ), with the sign-in table (taking waivers and handing out snacks and souvenirs) closing at sunset (about 6:20pm) to give time to paddle over to the screen.. I registered a few days ago but have not gotten an email with tickets. Is there a way to check on those? Not sure why the email didn’t make it to you, but I’ll send it again. Your seats are reserved and ready. We’ll be at the sign-in table until sunset (around 6:15pm), so arrive a few minutes before that and everything will be set.